"Sampath Speaking" - the thoughts of an Insurer from Thiruvallikkeni: valour of mother of Gurnam Singh keeping her promise ~ boycott enemy artists !! valour of mother of Gurnam Singh keeping her promise ~ boycott enemy artists !! Though thoughts wander ~ the subject matter of this post is the Valiant mother whose stoic attitude makes us cry !! Deepavali, the festival of lights is round the corner. A few decades ago, Deepavali release movies would create great expectations. In 1980, Balachandar and Barathiraja both dwelt on unemployment issues – VarumaiyinSirappu and Nizhalgal. There have been some movies which became hit due to some controversies. AeDilHaiMushkil (This Heart is Complicated) directed by Karan Johar has created more ripples prior to its release. There are some speaking in favour of its cast including Pak actor Fawad Khan – with many actors trying to justify stating ‘art is above frontiers’. It is primarily revenue generation and obviously, who apprehend loss of revenue would try to justify themselves. Some are not emotional. Congratulating the Indian Army on the surgical attacks conducted on terrorist camps along the Line of Control, cutting across partylines, Congress MP Shashi Tharoor said that “the real message has been sent to Pakistan” “I am very proud of the Indian Army, the real message has been sent to Pakistan. Well done,” ANI quoted Shashi Tharoor as saying. Reliance Industries chairman Mukesh Ambani joined issue with those opposing the ban on Pakistan artistes in India, saying the nation should come first and not arts and culture. "I am absolutely clear about one thing -that for me it is always country first. I am not an intellectual so I don't understand all this. But, undoubtedly, like for all Indians, India is first for me," Ambani is quoted as saying. 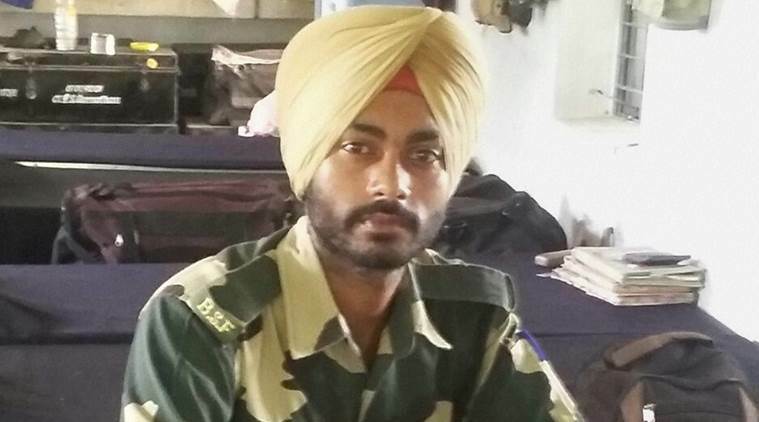 As the body of BSF braveheart Gurnam Singh wrapped in the tricolour arrived at his home, his mother Jaswant Kaur kept the promise made to her son not to cry over his martyrdom. The family is proud of the sacrifice made by the 26-year-old in the line of duty but demanded a specialised hospital in his name for the border guards and troops injured on IB and LoC to help save their lives. The jawan’s father also asked the Prime Minister to give a befitting reply to Pakistan. Gurnam Singh succumbed to injures at a hospital in Jammu last night after he was injured in a sniping incident on the International Border in Kathua sector on Friday. A pall of gloom descended on Gurnam’s native village Bhalesar Magowali in R S Pura tehsil, which is close to the Indo-Pakistan border as the body of the jawan arrived. Holding back her tears, Gurnam’s mother said, “I will not cry. I have promised this to my son. Gurnam once said mummy, don’t cry if I sacrifice my life for the nation. I said I won’t…he made us proud. We are proud of his martyrdom”. As the news of his death spread last night, people thronged his house and raised slogans such as “Gurnam Amar Rahe”. It is our duty we respect and extol such martyrs, but for whom, we will never be able to live peacefully. Everything else can wait ~ there need not be Cricket matches, Movies, trade – when our neighbour is bent on creating trouble and not allowing us to live peacefully, when our soldiers are spilling blood on the border. Let there not be any veiled attempt to sell and earn money ! – why should Pak artistes be allowed – will there not be entertainment without them ? ; if only, they can provide us happiness from the stress that we only face (and not those who stand on the border and freezing Himalayas) – then there need not be entertainment at all. This is what history tells us : The Soviet invasion of Afghanistan in Dec 1979 spurred US President Jimmy Carter to issue an ultimatum that Soviet troops should withdraw within a month. On January 26, 1980, Canadian Prime Minister Joe Clark announced that like the US, Canada would boycott the Olympics if the Soviets didn't leave Afghanistan by February 20, 1980. Boxer Muhammad Ali was dispatched by the US administration to Tanzania, Nigeria, and Senegal to convince their leaders to join the boycott. US and some other Nations boycotted ~ a firm enemy of the US under Ayatollah Khomeini's new theocracy, Iran also boycotted the Moscow Games after Khomeini joined the condemnation by the United Nations and the Islamic Conference of the invasion of Afghanistan. : that was not all : the next Olympics in 1984 at Los Angeles saw reaction. This time, the boycott involved 14 Eastern Bloc countries and allies, led by the Soviet Union. The boycott affected a large number of Olympic events that were normally dominated by the absent countries. Boycotting countries organized another major event, called the Friendship Games, in July and August 1984. Now more news.. .. Pakistan Electronic Media Regulatory Authority (Pemra) Chairman has stated that a request has been sent to the federal government for a complete ban on airing of Indian content. The Pemra chairman insisted that as India has banned films starring Pakistani artists, "we will have to do the same". Alam also said a crackdown was initiated against illegal Indian Direct-to-Home (DTH) sets on Oct 15, adding that action is being taken against cable operators who do not comply with the instructions. As per the prevalent law, only 10pc of airtime is allowed for foreign content, while the maximum limit for Indian content is 6pc in 24 hours.